Irin Carmon will be blogging from the International Reporting Project’s reproductive health-themed trip to Kenya until June 27. Read more about the project and the itinerary here. These days, you need an appointment to see Obama’s Granny, and yesterday we had one. 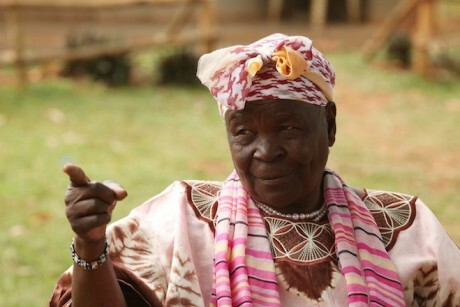 In Kogelo they call her Mama Sarah Obama, and the once-modest home of Barack Obama’s step-grandmother, 90, is now a heavily guarded compound, reached by a namesake road. The money comes from donations, she told us, though the Kenyan government has clearly found the funds to chip in, sending her a full-time minder at its own expense. There are three children orphaned by AIDS living in the house, Obama said, sitting regally before rows of plastic chairs in her compound, and she also looks after some of the other AIDS orphans in the village.